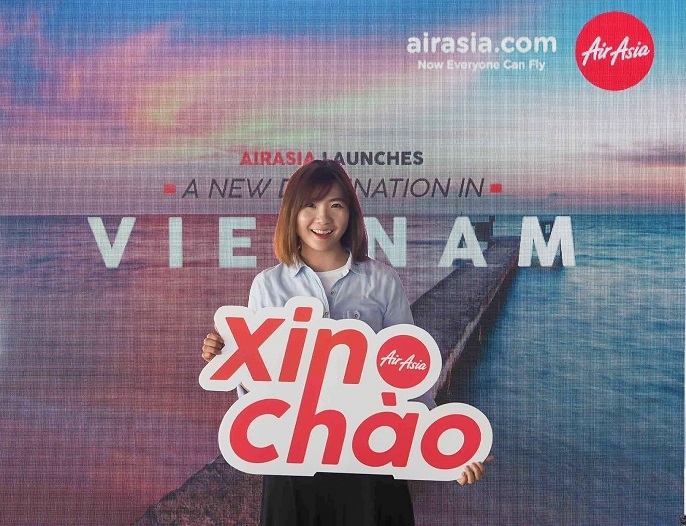 Xin Chao would be the best greeting to use for foreigners to say "Hello" to Vietnamese people. Phu Quoc is the largest island in Vietnam with beautiful beaches, include Long Beach, Ong Lang Beach, Ganh Dau Beach, and Starfish Beach.The place offers a slice of paradise for sun worshipers with 150 km long, beautiful coastline, stunning views of the sunset and crystal clear waters to cool off in. Travelers can also explore the three main regions in the district which are Phu Quoc Island, Hon Thom and An Thoi Archipelago. Among the must-do activities include island exploration, visitors can take chance to visit the Ham Ninh Village for a glimpse of a local fishing village, Suoi Tranh Waterfall surrounded in greeneries, caves and rock pools, savouring fresh seafood and local Vietnamese bites at the Dinh Cau Night Market and many more. Furthermore, Phu Quoc is part of the Kien Giang Province which was recognized by UNESCO as a World Biosphere Reserve in 2006. 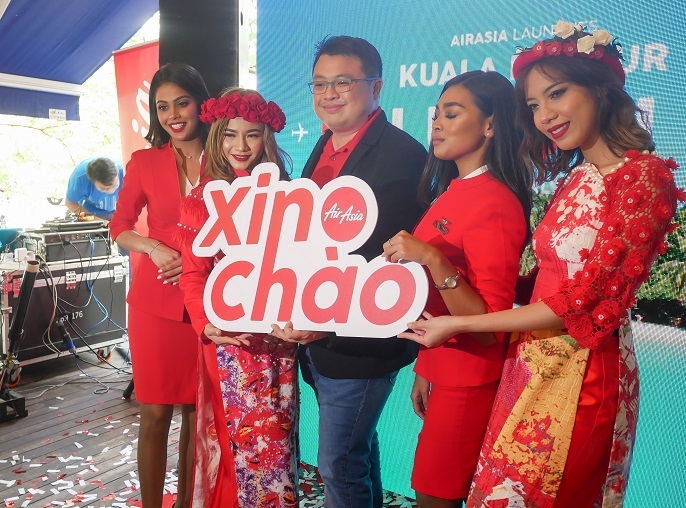 Head of Commercial AirAsia Malaysia, Spencer Lee: "We are delighted to be the first airline to launch direct services from Kuala Lumpur to one of Asean's best-kept secrets, Phu Quoc. As a truly Asean airline, we're committed to enable more people to visit more places in this region. Our guests can connect seamlessly to Phu Quoc via Kuala Lumpur from 20 cities in 10 countries, including China, India, Australia, Indonesia, Japan, Korea, Philippines, Thailand, Singapore, and Malaysia. Travelers from any countries can also visit Phu Quoc visa-free up to 30 days, making this paradise more accessible. We hope to contribute to the social and economic development of Phu Quoc through the power of connectivity and also look forward to working with the local government to develop Phu Quoc into a world class tourist destination." 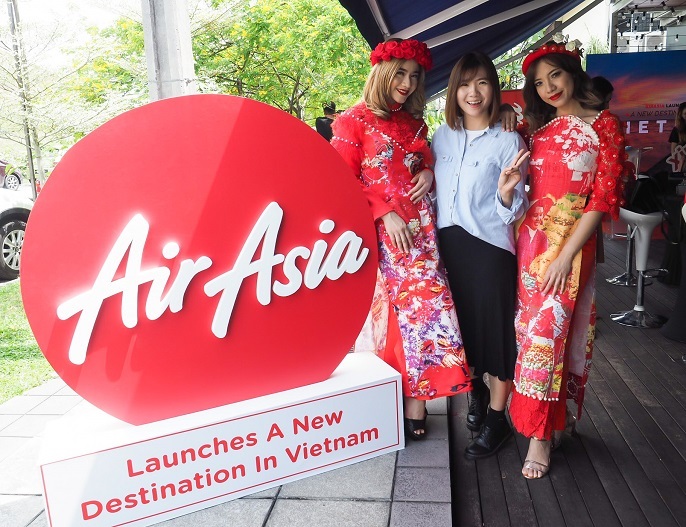 AirAsia is offering special introductory all-in-fares from Kuala Lumpur to Phu Quoc from RM90. These fares are available for booking on airasia.com and the AirAsia mobile app from 8 to 19 August 2018 for the travel period from 2 Nov 2018 to 29 March 2019. Promotional all-in-fares quoted are for one-way travel only inclusive of taxes and fees also also for BIG members only. BigPay members will enjoy zero processing fees when making payment using BigPay card. BIG members can also redeem a one-way flight from Kuala Lumpur to Phu Quoc with as little as 100 BIG Points (base fare only). For latest AirAsia news, activities and promotions, please follow AirAsia on Twitter at twitter.com/AirAsia and Facebook at facebook.com/AirAsia.